Love and friendship can be full of red lights, yellow lights, and green lights, and that is exactly what you get in Fox's newest sitcom, Traffic Light, premiering Tuesday on Fox. The series takes three guys who were friends since college into their young adulthood, much like the drama thirtysomething did decades ago, but with a light-hearted and much more comedic approach. Mike (David Denman) finds himself spending his free time in his man cave (his car) watching DVDs to avoid the responsibilities that come with adulthood. Adam (Nelson Franklin) has just moved in with his girlfriend, and is finding that things may be changing in his life, much faster than he'd like. And Ethan (Kris Marshall) is just trying to keep his life straightened out as he moves from one girl to the next every week. The lives of these three guys always come to a stop light at the same intersection in Traffic Light. David Denman (Mike) plays the married father who finds it almost impossible to get time for himself. Denman's best-known role is perhaps his recurring role on the NBC series The Office, where he played Roy Anderson, Pam's ex-fiance who could never commit to marriage. He has also played in many other series, including guest roles on Brothers & Sisters, Grey's Anatomy, Gary Unmarried, C.S.I. : Miami, Angel, Bones, and Drop Dead Diva. He received formal training in acting through the American Conservatory Theater in San Francisco, as well as by earning a Bachelor of Fine Arts degree in acting from Julliard. Nelson Franklin (Adam) plays the guy who is just starting to settle down into a stable relationship, and moving in with his girlfriend. Much like Denman, Franklin is also known for a recurring role that he had on The Office, as "Nick the IT Guy" (who ended up leaving the series to because the character took a job through Teach for America). He has also had guest roles on the short-lived Fox series Dollhouse, as well as a number of smaller independent productions. Kris Marshall (Ethan) is the British guy in the trio who can't seem to find any stability at all in his life. Marshall guest-starred in an episode of Human Target on Fox, but much of his fame comes from his roles that he is played in Great Britain, including his role of Nick Harper in the UK sitcom My Family, produced by DLT Entertainment and Rude Boy Productions. He has also had significant roles in the UK series Murder City and Funland. He grew up all around the world, though he currently lives in Windsor, Berkshire. Aya Cash (Callie) plays the girl that Adam just recently moved in with. Much of her fame comes from the stage, but she has had guest roles in series such as Law & Order, Law & Order: Criminal Intent, Mercy, and Brotherhood. She is an alumna of the San Francisco School of Arts. Liza Lapira (Lisa) is Mike's wife and the mother of his son. The Filipino-American actress is best-known for her role in the film 21 and as Special Agent Michelle Lee in the CBS series NCIS. Her first major role was in the Showtime series Huff. She has also appeared in series including Dollhouse, Dexter, and Grey's Anatomy, among many other series. The Queens-born actress also had many roles on stage in New York prior to moving to Los Angeles in 2004. The first four episodes of the series were made available for review, so we were able to get a good grasp for the direction that the series is going in at the beginning. The first episode of the series, "Pilot" (airing February 8) introduces us to the three college buddies, Mike (the married guy always seeking free time), Adam (the single guy who just moved in with his girlfriend), and Ethan (the perpetually single British guy). In the "Pilot" episode, Adam has just moved in with Callie, and is quickly discovering that his fun times with his buddies may come to a crashing end very quickly, and that he is no longer just Adam, but now "Adam and Callie." Meanwhile, Mike, who only seems to find time to talk to his friends while driving, is dealing with having to drive Lisa to work everyday and trying to avoid talking to his friends while she is in the car with him, naturally raising her suspicions. The second episode, "En Fuego" (airing February 15), it is discovered that Adam is hanging on to a stuffed dog that he won as a carnival prize, and Ethan and Mike are determined to get rid of it for him. Unfortunately, Adam and Callie see this stuffed dog as a good luck charm, and Adam is determined to go through any means necessary to get a replacement for the dog, mostly just to satisfy Callie. Meanwhile, Lisa is paired with Ethan's ex-girlfriend in a charity tennis match, which is a recipe for awkwardness. "All the Precedent's Men" (airing February 22) puts the guys in tough positions when Lisa encourages Mike to meet up with a younger female colleague, who seems to have quite a bit more in common with Mike than he expects, leading to quite a bit of meetings between the two. Adam's free time in the car is constantly being disrupted by Callie calling him every time during his morning commute for the most useless things, such as to inform him that she has run in to a traffic light. And Ethan is getting involved in a relationship that may very well break his three-week streak of being involved with women. "Credit Balance" (airdate TBD) causes Mike to have to rise up to his paternal duties by having to take care of son Tommy in the morning, but he quickly finds that being the "coffee mom" is pretty awesome, and finds a new group of friends in other mothers. Callie is in serious debt financially, and explains to Adam (while the two take a bath together) what brought on the situation, leading Adam to worry if her debt will cause trouble in the relationship. And Ethan's new girlfriend is making it virtually impossible for him to break off the relationship. Unlike many series that I have seen lately, I feel that this one does have some real potential if it finds an audience. I really liked how the series tried to focus on all three main characters as much as possible and create a story for each of them in every episode, although it seems that the character of Ethan could be used a little bit more. Mike and Adam seem to have much more depth and the major plots seem to focus on them, with Ethan as the other guy. But they could really step up his character to a more meaningful role, and hopefully they will do that in later episodes. Unlike virtually ever other sitcom that Fox has ever aired--good and bad ones--the series doesn't really seem to jump into absurdities and outlandish plots. 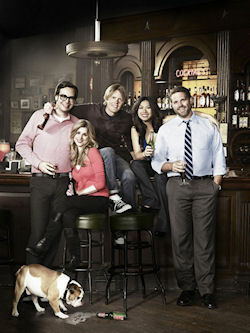 Everything on the series is down-to-Earth and "normal" for a sitcom. In a sense, I kind of like to see that in a sitcom. There's nothing that is done in the series to obtain any kind of shock value, or any big surprises. That can be a double-edged sword at times (that does, after all, make a series interesting), but I think that it works for this series, as it attempts to be a more "normal" series. Of course, as a result of this, there really weren't any laugh-out-loud moments in any of the episodes, which is somewhat disappointing, but it does offer room for the writers to focus on the actual plot development. I found it rather interesting to see David Denman in the role as Mike, who was the responsible one that was settled down, married, had a child, and had a career. This is quite a change from his role on The Office as Roy, the blue-collared warehouse employee who was engaged to Pam for several seasons (before Jim got in the middle of that relationship, of course, and eventually married Pam) but could never settle down to the idea of marriage. But it is also nice to see that he hasn't been typecast into that type of role and can explore a bit of diversity in his roles. This isn't a bad series, the main struggle that it will have throughout the beginning (just like any new series) is finding an audience. It could be tough to do on Fox, as many (live-action) sitcoms that air on Fox indeed do not find an audience, and though they have mostly produced some bad sitcoms in the past few years, there have been a few gems along the way that just couldn't find an audience. 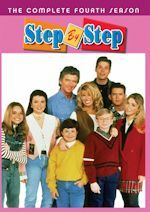 The reality is that in the entire history of the network, there have really only been a handful of live-action sitcoms that have had any level of success on Fox, and really none in the past decade. The series really doesn't feel like a Fox sitcom at all, and perhaps that will work in its favor in drawing in a new audience. I think only time will tell where this series will go, and hopefully there will be some "kinks" in the relationships along the way to make the series more interesting (perhaps some continuing storylines), but I'd say that the series has a green light, for now anyway. Discuss the show after you watch it on Tuesday, February 8 on our message board. Moving on the some news, we have some very cool news for The Hallmark Channel! They have added a 24-hour marathon for the 1988-1995 sitcom Empty Nest on Saturday, Feb. 26, 2011! The sitcom was a spin-off of The Golden Girls, which also airs on Hallmark. 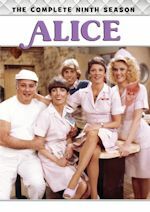 The show revolves around pediatrician Dr. Harry Weston (Richard Mulligan), whose life is turned upside down when his wife, Libby, dies, and two of his adult daughters (Dinah Manoff and Kristy McNichol) move back into the family home in Miami. 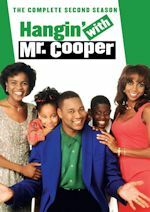 The series has not aired on U.S. television since local broadcast stations returned airing it between 1999-2001. 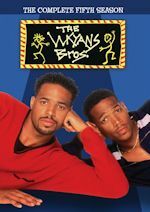 The series was also last seen on cable briefly on TBS in 1996 and WGN stopped it in 1999. It never did well in the ratings in syndication, but it has never aired on the same network in reruns with The Golden Girls. The sitcom originally followed The Golden Girls on the NBC Saturday night schedule, so there is a chance Hallmark will re-create that. The series is expected to join the regular schedule, but as of this writing, they have not released an updated March schedule with the timings. For now, enjoy the 24-hour marathon beginning at 6am ET on Saturday, Feb. 26! Episode info is not available just yet for the marathon. Empty Nest had a spin-off series as well titled Nurses, that lasted three seasons from 1991-94. Hopefully Hallmark can get that also, as that hasn't been seen since the mid-90s on Lifetime (in fact, it left the schedule in 1997 when Lifetime started airing The Golden Girls). There will be plenty of other 24-hour marathons on Hallmark this month and next month. But before we get to that, effective next Tuesday (Feb. 15), Touched by an Angel returns to the schedule! The series will replace the primetime airing of Little House on the Prairie at 8pm and the Hallmark movie from 9-11pm, so we get a three-episode block of Touched by an Angel in primetime. Little House on the Prairie will still remain in the afternoons from 3-6pm. Touched by an Angel gets a 24-hour marathon on Saturday, Feb. 19 starting at 6am ET to celebrate its return. We also have a 24-hour (actually 22) marathon of The Golden Girls on Sunday, Feb. 27 from 6am-4am, the day after the Empty Nest marathon. Every Sunday night at 4am, Hallmark will now air an ice skating special. The March 2011 schedule is now tentative because we will likely be seeing Empty Nest added to the schedule, but they do have a 24-hour Little House on the Prairie marathon scheduled on Saturday, March 5 beginning at 6am. And the only other stunt, as of now, in March is a Touched by an Angel marathon on Sunday, March 13 from 9am-11pm. Looking further ahead, Hallmark Channel has already began airing promos for Frasier, which will air on the network starting in April. What does that mean for Lifetime, which currently airs the show? Stay with us later this week for info on that. And we will also have more on Frasier on Hallmark in the near future as well. For now, view the UPDATED Hallmark Channel February 2011 schedule. And stay with us for details on when Empty Nest will be airing on the regular schedule.